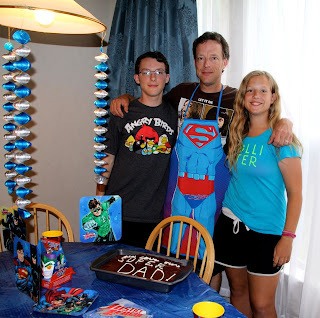 Because Katie was heading to church camp on Father's Day, we honored Brett a day early. 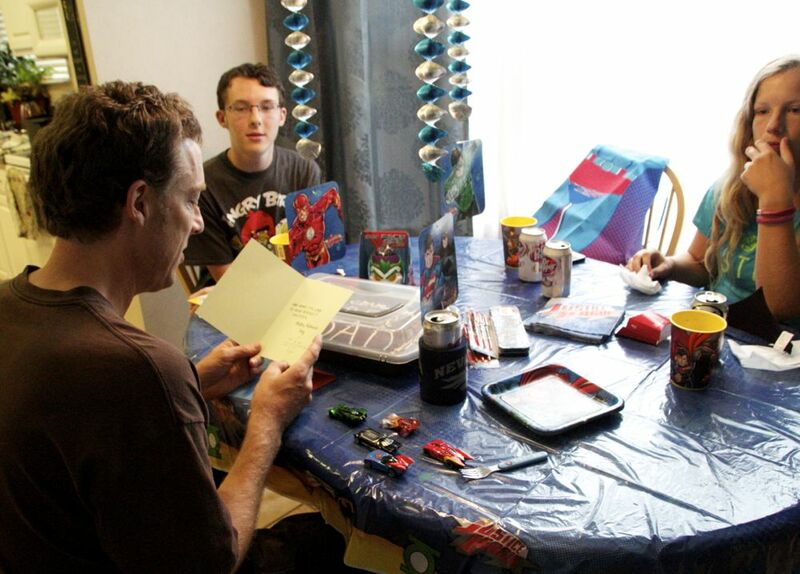 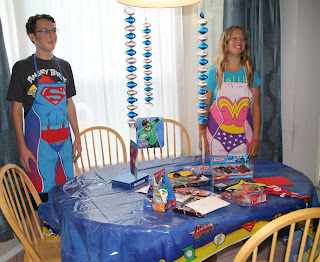 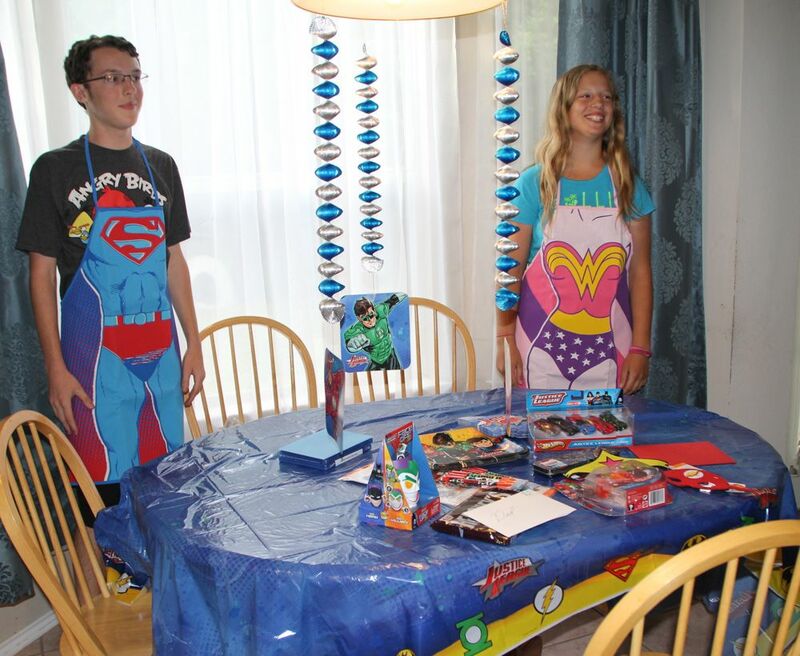 Brett opened his cards and gifts, and then we feasted on cake (using Justice League plates and napkins, natch). 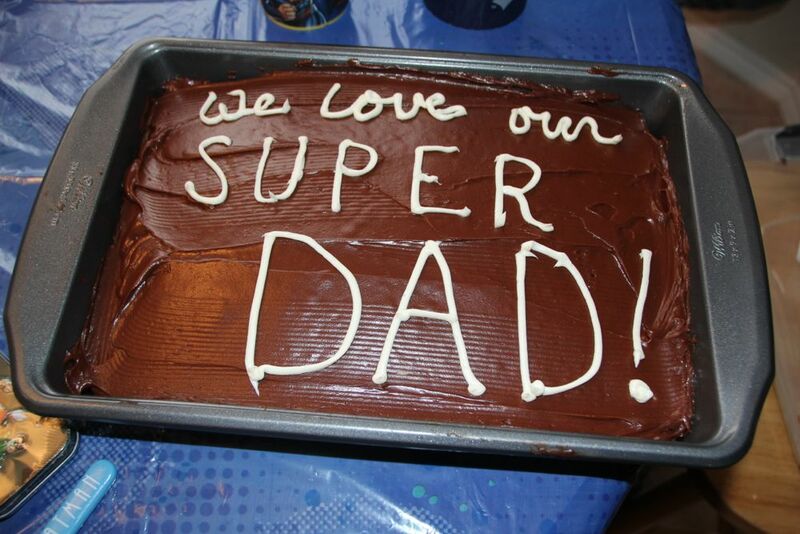 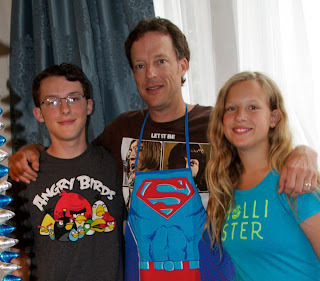 Of course, Brett's longtime interest in comic books and superheroes inspired the theme, but truly, he is a SUPER dad. 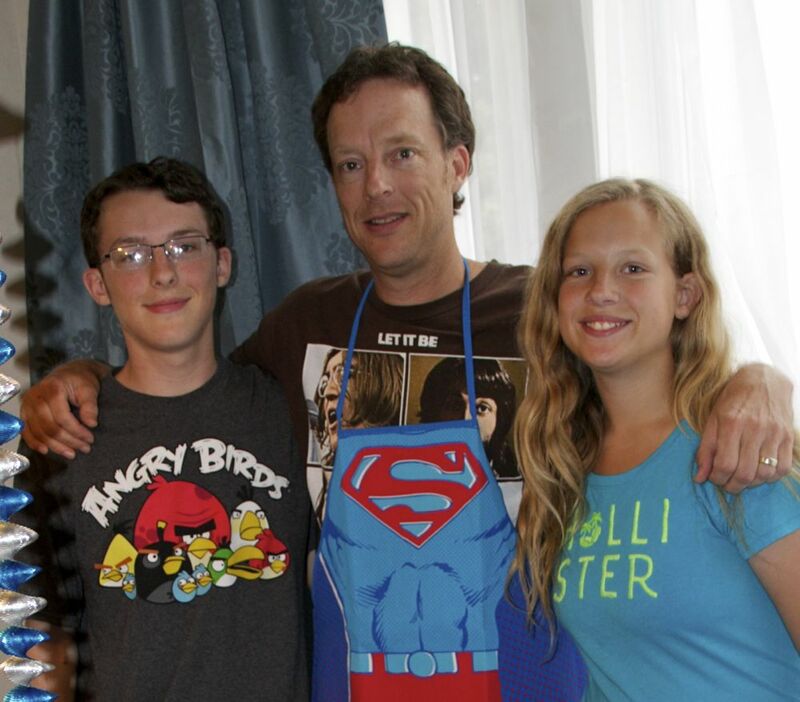 He leads our family with love and strength, and his work ethic is a great example for Ryan and Katie. 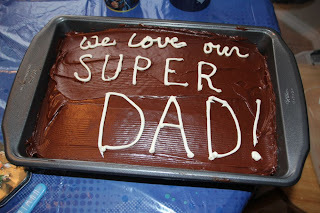 We love him and thank God for him!